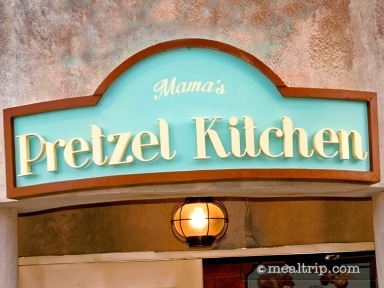 Mama's Pretzel Kitchen is a good walk from the front gates of SeaWorld, Orlando. Tucked away in the "Sea of Fun" area of the park (or just "above" Shamu Stadium if you are looking at a SeaWorld map), the tiny pass-through shop actually has some really good eats. 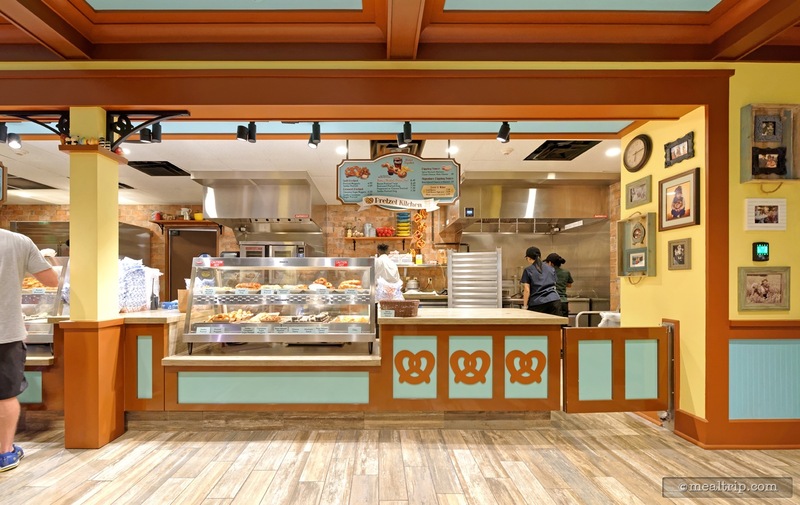 You can't go wrong with beer and pretzels in a theme park, and Mama's Pretzel Kitchen takes that up a notch by offering pretzels stuffed with... stuff. 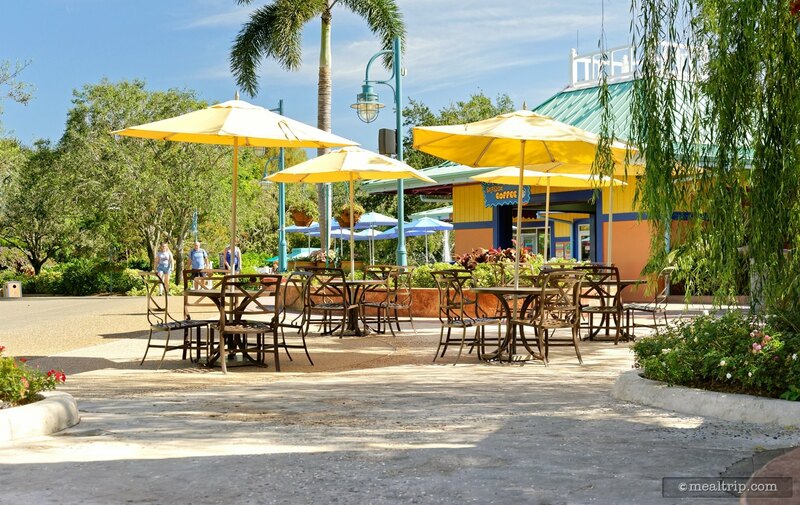 As with most Sea World locations, there's not much indoor seating around (if any) but there are quite a few umbrella covered tables. 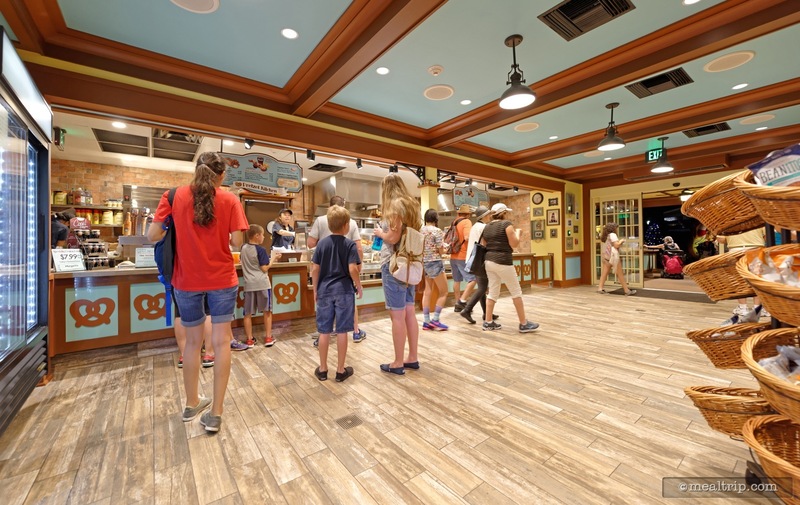 If you walk around the area a bit, you might find an unassuming "coffee and soft serve ice cream shop" that has fully covered open air seating (which would be to the left of the Pretzel Kitchen, when looking directly at the building). As far as crowds go, if the place it packed… it's probably because one of the nearby shows just let out. Give it 15 minutes and the lines will be much shorter. 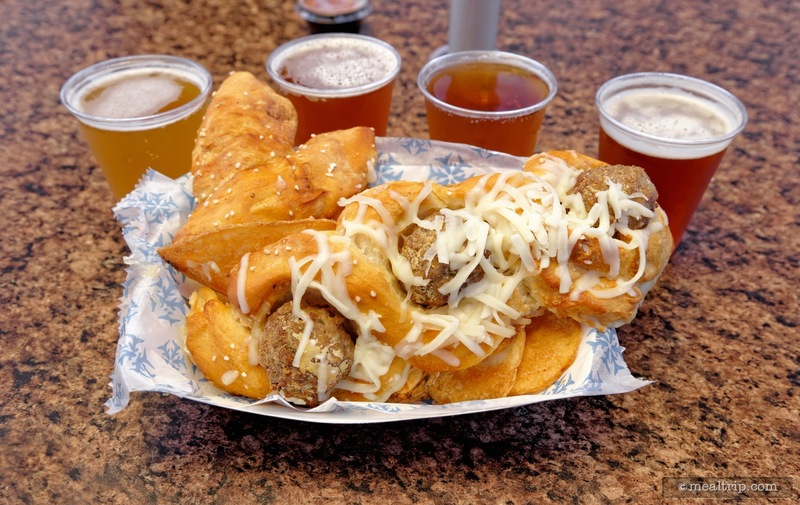 One of the best times to visit Mama's Pretzel Kitchen is while a show is going on at the nearby Shamu Stadium! What a treat! Instead of the normal burger and fries, thankful for the bratwurst pretzel and beer. I could not pass up a cup of mustard to add to this delicious treat. The beer flight was fun and really went well with the perfect pretzel. 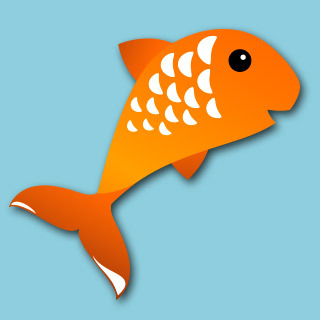 I will be sure to be a repeat customer the next time to Sea World. 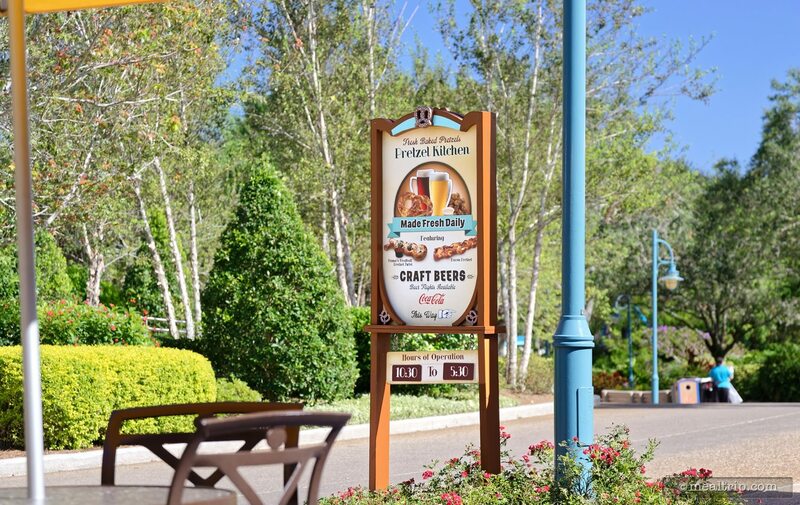 You really can't go wrong with Pretzels and Beer in a theme park. 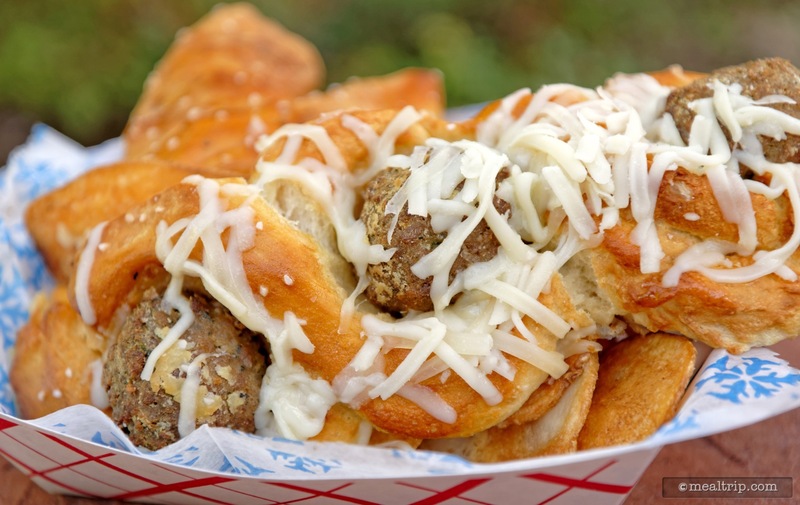 SeaWorld Orlando's "Mama's Pretzel Kitchen" manages to do one better by stuffing pretzels with things like meatballs, bratwurst, and pepperoni pizza ingredients. Not only that, there's at least a half dozen craft, IPA, (and/or domestic) beers available as a flight or individually, because well… beer and pretzels simply belong together. 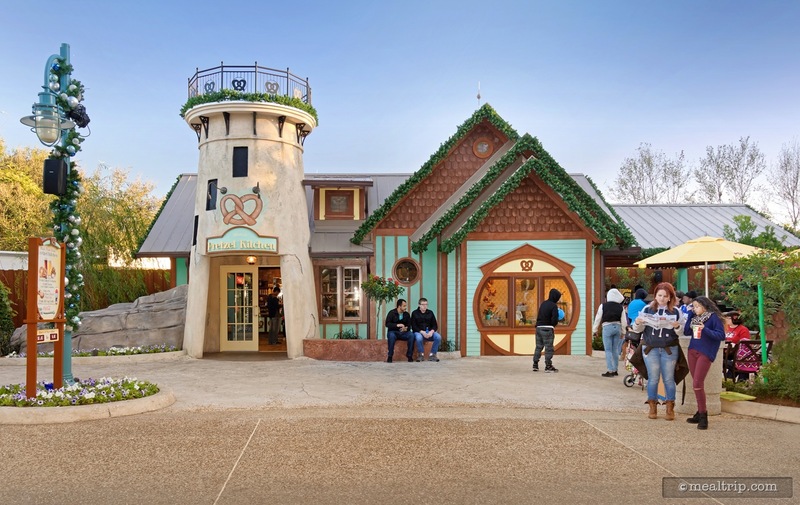 The cute little Mama's Pretzel building is about as far from the front gate as you can get, but it's actually well worth the walk. The format is fairly standard for SeaWorld… you go in one door, pick out what you want, and then pay for your selections at a register just outside the exit door. The system can get a bit stressed when there's a ton of people around, but honestly, it's not any better or worse than the "pay first, pick up your food next" system. 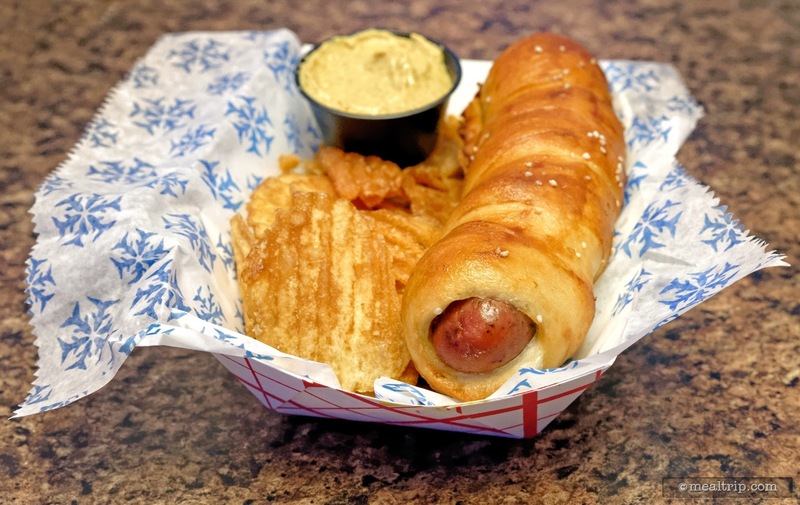 If there's a line of people out the door, go back in 10 or 15 minutes, trust me… you'll spend most of your time standing around in a line instead of enjoying your hot pretzel and cold beer. The best time to visit Mama's Pretzel Kitchen is actually when there's a show going on in the nearby Shamu Stadium. Once that show lets out, there's so much foot traffic around, you'll have a hard time even crossing the walkway to get to the place. Seating comes in form of umbrella covered tables, but there is some covered seating available fairly close. 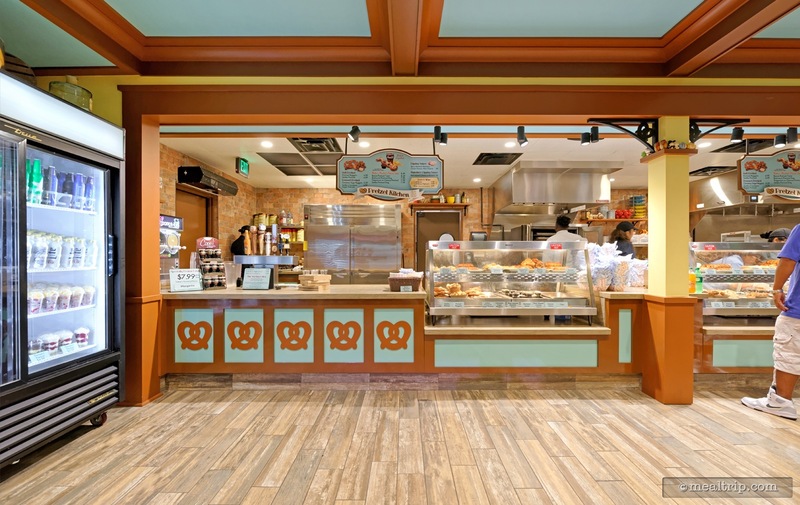 If you're facing Mama's Pretzel Kitchen, take a left 30 or 40 steps, and you should run into a covered seating area (which is supposed to be for a coffee and ice cream stand). Here again though, if a show just let out, your chances of grabbing a seat aren't going to be very good. The pretzels at Mama's are fresh, warm, proper pretzels, (with a good chewable exterior and a soft interior). 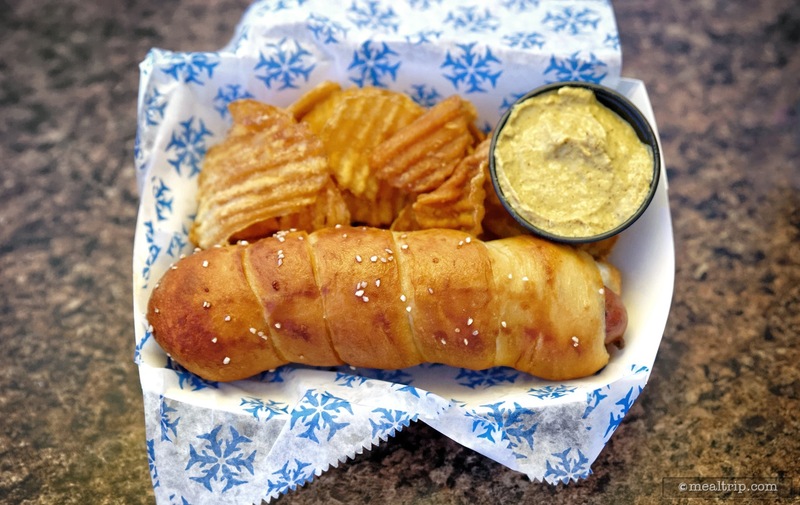 One of our favorite "stuffed" pretzels at Mama's is an old favorite, the Bratwurst Pretzel Dog. While that one is totally enjoyable without any of the extra "dipping sauces", I still end up wanting a cup of mustard, if only to add another layer of flavor. 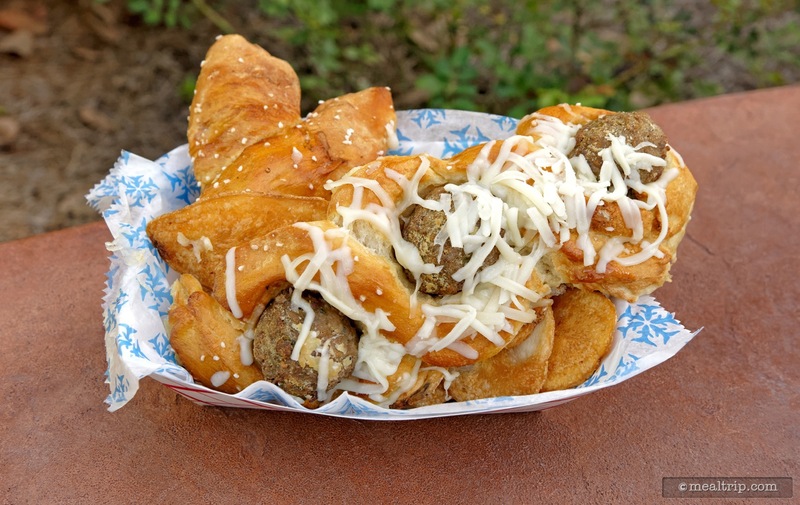 The signature "Mama's Meatball Pretzel Twist" features three meatballs placed in a twisted pretzel. This one, while being good, really does need the Marinara dipping sauce. It was a little dry and honestly, the meatballs aren't going to win any true Italian culinary awards. 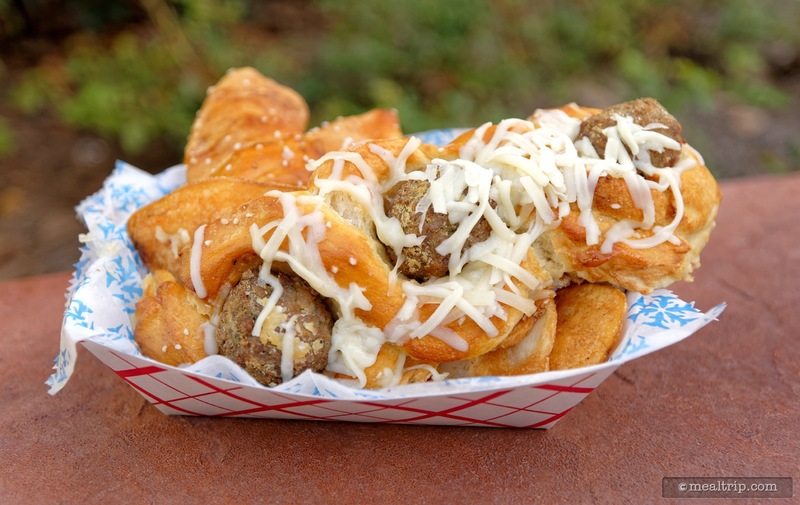 The Marinara sauce unlocks the flavor and crave-ability for the entire meatball pretzel. If there was anything to fault here, it is that $.89 add-on sauce. 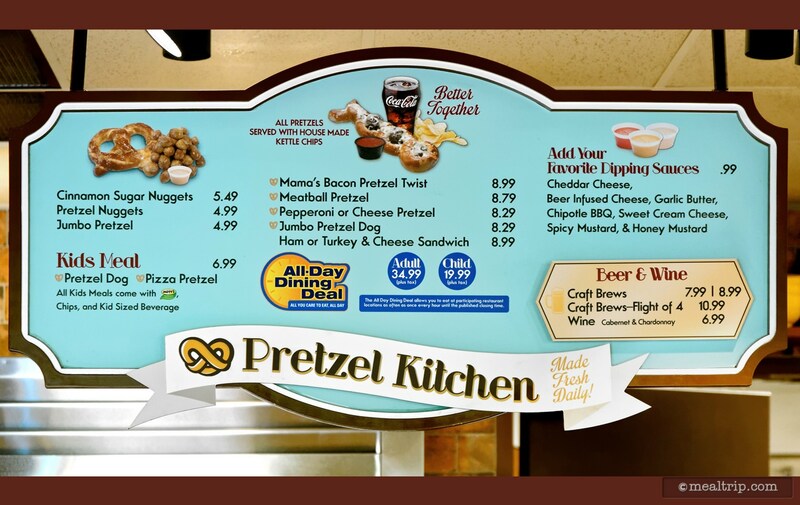 It makes a good stuffed pretzel, a great stuffed pretzel… so it should always be figured into the cost of getting one these entree style pretzels. 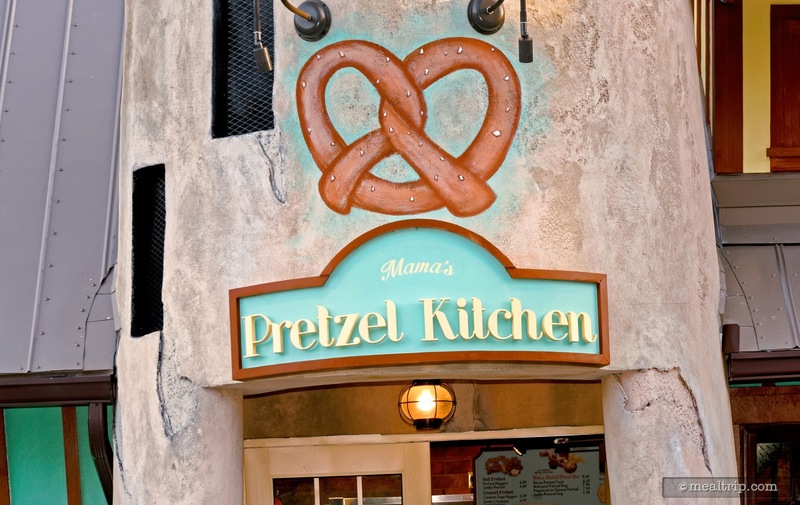 Believe it or not, Mama's Pretzel Kitchen is in our "top three best places to eat at SeaWorld" list. 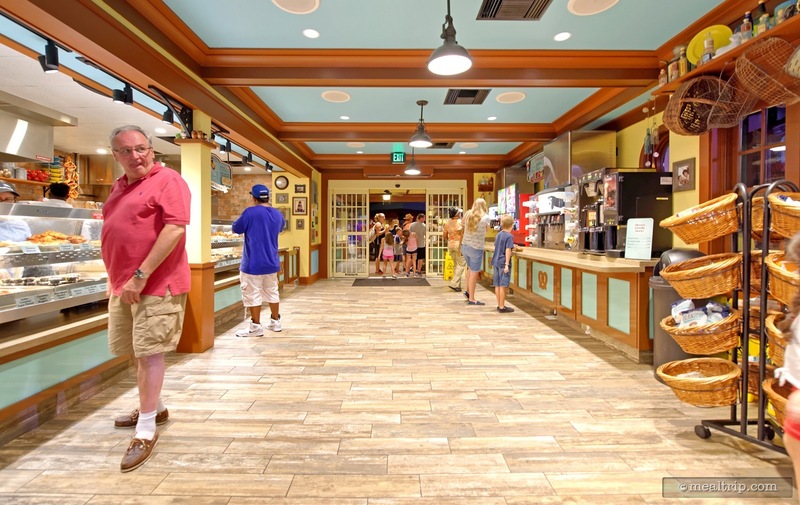 If you're going to grab a bite to eat somewhere at SeaWorld... this location, Voyager's Smokehouse, and the Expedition Cafe are the three go-to locations that I would most recommend.